Imagine Concrete task force members Marla Reed and Jason Miller have begun the next construction phase in the Angele Cupples Community Garden: building 29 more raised beds—20 of which will be available for rent beginning April 1, 2011. The beds will occupy the northwest and southeast corners of the garden, which is located at the intersection of Main Street and Superior Ave. North in Concrete. Three sizes will be offered, based on responses to a survey developed and administered by task force members Jim and Lou Hillman earlier this year: 4×8, 4×10, and 4×12. All beds will be approximately 1 foot deep. Hardware for constructing the beds will be sold to the town at a reduced price by Cascade Supply in Concrete. The beds will use salvaged cedar from Ed Rogge at Northwest Cedar Salvage. At press time, donations for four beds had been promised or received. A shed, memory garden, and water lines also are planned for the garden during spring 2011. Donations for these are welcome. 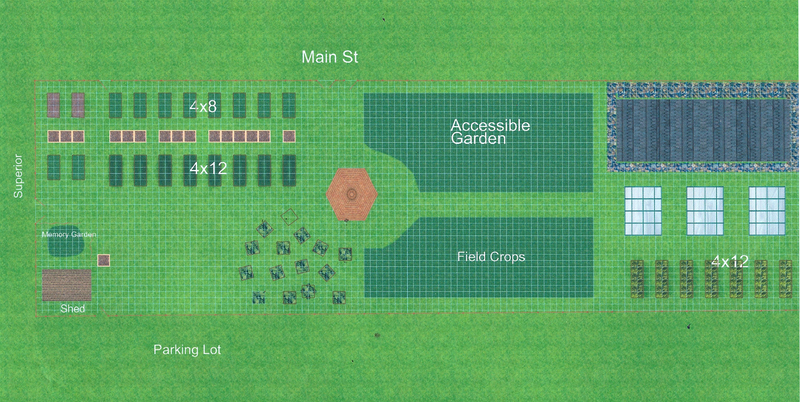 In response to one of the earlier ideas for garden components, eight 4×12 raised beds and an area for field crops and berries will occupy the southeast corner of the garden. Managed by Jason Miller, these areas will grow fresh produce that will be distributed by the Concrete Food Bank and sold to help raise money for the garden’s maintenance and operation. A large, multi-purpose building, three greenhouses, and an accessible garden are on the to-do list for the coming years, and will be built as funds are secured in the form of grants and donations. All renters will be asked to sign an agreement, as well as provide their own gardening tools, hoses, and fertilizer. All questions and reservation requests should be directed to Jason Miller at 360.853.8213. All individuals and businesses who donate time or money to the garden during any phase will have their name added to a large sign that will be placed inside the garden sometime during 2011. Anyone wishing to donate is asked to contact Jason Miller at 360.853.8213 or goodwords@frontier.com, or Marla Reed at marla.mr@frontier.com or 360.391.2589. 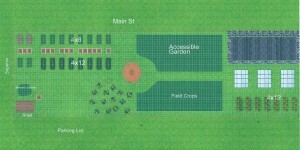 This graphic shows the current plan for build-out of the Angele Cupples Community Garden in Concrete, with elements suggested by attendees of the first and second Imagine Concrete workshops, as well as additional ideas generated during a community survey and by members of the Community Garden Task Force. Donations currently are being sought by Imagine Concrete to pay for planned additions in 2011, including water lines, an entry sign, 28 raised beds ranging from 4x8 to 4x12 feet, 14 raised beds measuring 4x4 feet, a 12x16 shed, a memory garden, and reconstruction of a donated gazebo roof. Graphic by Marla Reed.